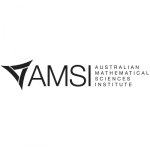 A funding partnership between the Australian Mathematical Sciences Institute’s (AMSI) all-sector, all-discipline APR.Intern program and the Innovative Manufacturing Cooperative Research Centre (IMCRC) will put new technologies, business models and digitalisation in reach of Australian manufacturing industry. Under the agreement, 23 skilled PhDs will be matched to manufacturing SMEs and larger companies to apply their specialist expertise to drive advanced and digital manufacturing and optimisation solutions. Industry partners will attract a rebate under APR.Intern’s National Research Internship (NRIP) program on project costs after IMCRC funding support up to $13,000. 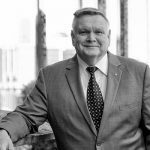 AMSI Director, Professor Tim Brown welcomed the partnership with the IMCRC as the Institute continues its commitment to enhance PhD preparedness to engage with industry. APR.Intern Director and Melbourne Enterprise Professor, Gary Hogan AM said the placements represented a positive step in realising objectives of the Australian Government’s $28.2 million Supporting more women in STEM careers: Australian Mathematical Sciences Institute (AMSI)—National Research Internship Program (NRIP). With new technologies and smarter ways of working transforming the nature of manufacturing, IMCRC CEO and Managing Director, David Chuter, said the PhD internships play an essential role upskilling the sector to respond to challenges and opportunities ahead. The IMCRC has a vision for Australian manufacturing to be thriving, relevant and globally integrated. As a not-for-profit, independent cooperative research centre, the IMCRC helps Australian companies increase their relevance through collaborative, market-driven research in manufacturing business models, products, processes, and services. These internships are supported by the Australian Government Department of Education and Training, through the ‘Supporting more women in STEM careers: Australian Mathematical Sciences Institute (AMSI) – National Research Internship Program.